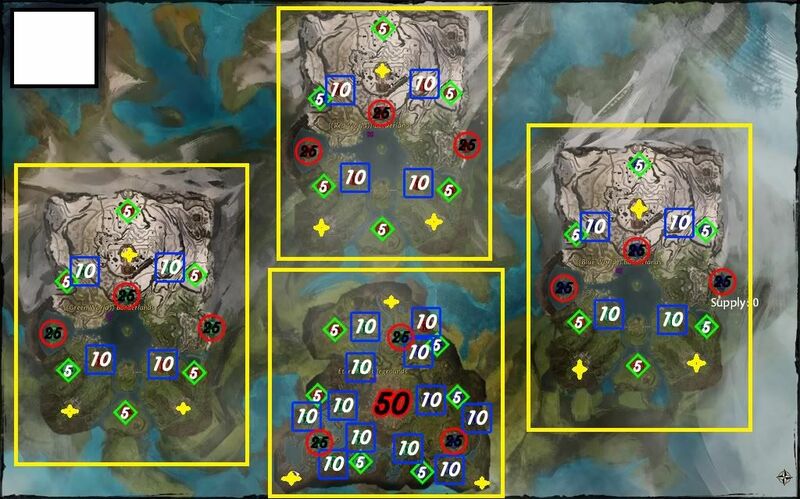 The 4 maps are divided thus; each server gets one map as it homeland map and the 4th map is a central point between all three. The homeland maps all have a lake in the centre and the 4th has a massive castle. The only areas that can not be taken are the spawn points of each server on any of the maps, everything else is fair game. those out of say range won't know. The main objective is to control all the areas do that and your sitting pretty buts it's harder than it looks. strongholds ultra defensive by building them up as much as you can. and running from the get go. I really can't emphasize enough the importance of supplies they are critical in any battle without them you can do zip. make sure that our supply caravans get to where they are going. the same in reverse for the lower supply camps. is the one with the castle.